We see minimal impact from the upcoming excise tax hike, where we estimate only a 1-4% impact on ASPs of beer and spirits. Also, given the manageable increase, THBEV should be able to pass through costs fully, with an opportunity to raise prices higher than the tax hike. Meanwhile, we expect 4Q17 sales volume to benefit from stockpiling by agencies prior to the excise tax hike, where 1Q18 will see a strong turnaround due to the end of the mourning period. Maintain BUY with SOTP-based target price of $1.09. Undemanding valuation despite upcoming turnaround in 1Q18. 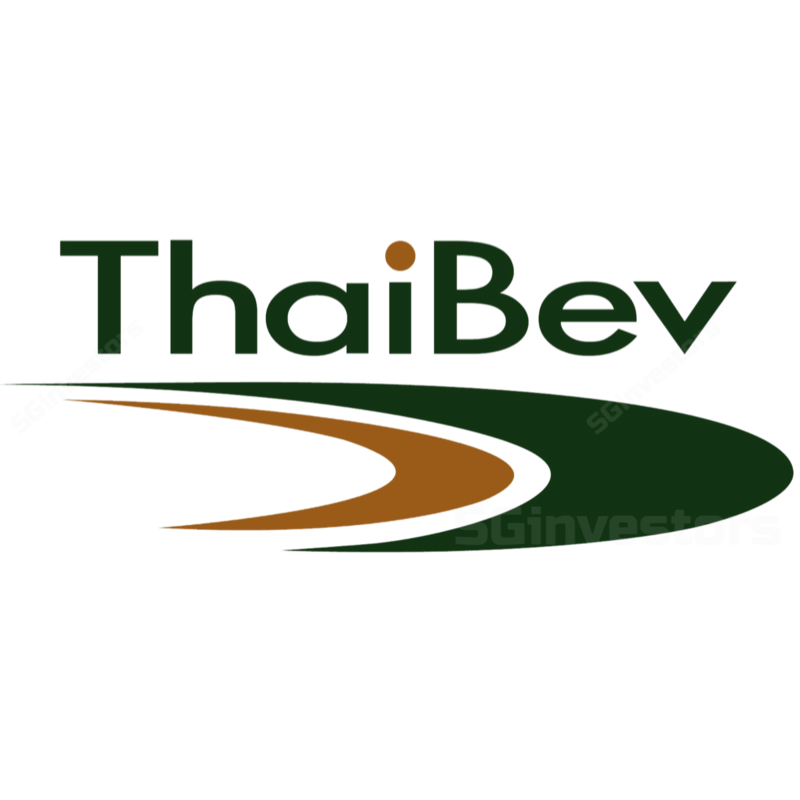 Thai Beverage (THBEV) is trading at 2018F PE of 18.8x, which is a 21% discount to global alcohol peers (2018F PE of 23.9x) and a 25% discount to Asia alcohol peers (2018F PE of 25.1x). We see the recent share price weakness following the excise tax news as unwarranted, given that the magnitude of the hike is relatively mild in our opinion. Furthermore, with a turnaround on the horizon in 1Q18, we opine that THBEV should command at least a global peer industry PE multiple, where THBEV’s 2018F ROE of 22% is tracking in line with peers’ average. Widely-anticipated excise tax hike effective 16 September. The new excise tax came into effect on 16 September. Under the new law, the tax hike will now be based on retail price, while the previous system was based on ex-factory prices. Accordingly, tax rate for beer will be 22% of retail price and Bt430 per litre of alcohol content. Tax rate for white spirits is 2% of retail price and Bt155 per litre of alcohol content, while for brown spirits, the rate is at 20% of retail price and Bt255 per litre of alcohol content. Mild impact of 1-4% to ASPs. We deem the impact of excise tax increase as manageable, where we estimate an approximately Bt2 increase in excise tax for beer and white spirits, and Bt3-4 increase for brown spirits. In terms of impact of excise tax hike to ASPs, this would translate to a 4%/2%/1-2% increase to beer, white and brown spirits’ ASPs respectively. We believe the impact on consumption will not be significant. Expect 100% or more of tax hike to be passed through. For spirits, we expect THBEV to be able to pass through 100% of the costs to customers through higher ASPs. Given its near-monopoly status with 90% market share, we believe there could even be opportunities to increase prices higher than the quantum of the tax hike, allowing for margin improvement. Similarly for beer, we believe the excise tax hike should be passed on fully. However, as the challenger instead of market leader, THBEV may need to track competitors’ reaction to determine whether it can take this opportunity to increase beer margin. Short-term volume fluctuation, but consistently rising EBITDA. Tracking the volume and EBITDA trend of spirits over the past 10 years, we also note that while volumes tend to see short-term fluctuations upon the introduction of excise tax hikes, EBITDA has consistently been on an uptrend. 4Q17 to benefit from stockpiling, 1Q18 to see an even stronger turnaround. We expect sales volume for 4Q17 to see an uptick due to stocking up by agencies before the tax increase. Meanwhile, with the mourning period ending in Oct 17, we expect sales volume to be poised for an even stronger yoy recovery from 1Q18 onwards from a low base. Recall that mourning period commenced in October last year and 1Q17 saw a significant decline in sales volume (spirits: -11% yoy, beer: -7% yoy) as the government placed a 30-day restriction on public entertainment and festivities. No change to earnings. Based on our sensitivity analysis, every 1% increase in ASP above the excise tax hike for spirits and beer may improve 2018 earnings by 3% and 2% respectively. Maintain BUY with an unchanged SOTP target price of S$1.09. the food business at 13x EV/EBITDA, in line with local peers’. FCL and FNN, in which THBEV owns a 28% stake each, are valued based on their latest market value. THBEV’s current 2018F PE at 18.8x is still lower than that of global spirits peers’ average of 27.2x 2018F PE, 21.7x of beer companies and 24.6x of NAB companies. Faster-than-expected turnaround of NAB business.